Portable Laser Gas Detector for Landfill Monitoring Johor Bahru (JB), Johor, Malaysia. Handheld / Portable Instruments Portable Gas Analyser Suppliers, Supplies, Supplier, Supply | Proses Instrumen Sdn. Bhd. Landfill Gas (LFG) is the product of microbiological decomposition of land-filled waste. The bacteria thrive under anaerobic conditions and turn complex organic compounds found in waste matter into primarily Methane and Carbon Dioxide, LFG is approximately 50-55% methane and 40-45% carbon dioxide. The ETG 6900 P a portable Laser Gas Detection (LGD), based on Tunable Diode Laser Spectrometry (TDLS), provides a solution to many gas detection challenges in landfill emission monitoring and process control. This technology offers unique advantages like precise optical, contact-less measurements, excellent target gas selectivity and sub ppm-level detectivity. The TDLS technology-enhanced for gas detection, where a 0.1 nm narrow bandwidth diode laser beam is scanned across an absorption band of the target gas, performing a high-resolution near-infrared absorption measurement. Electronic lock-in technology allows separating the gas absorption information from electro-optical system information, leading to a detection method eliminating the need for a physical reference channel.and offering continuous sensor status monitoring. The ETG 6900 P thus present a clear alternative to current sub-optimal detection solutions and combine precise with high target gas selectivity, calibration-free operation, low-cost-of-ownership and easy use by the customer. 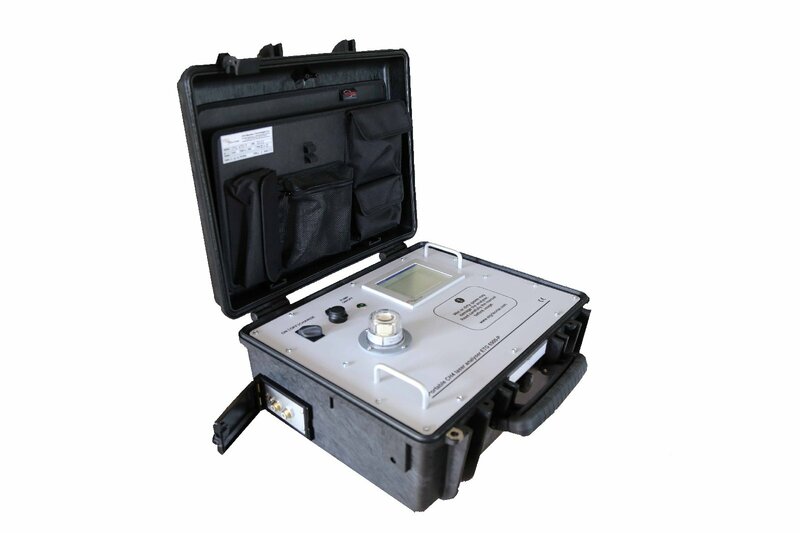 The ETG 6900 P analyzer is powered by Li- ion battery and can be used without AC power supply. It can be used for measurement of the concentration of CH4 ,CO2 ,NH3 in sample gases .